Los Angeles Sparks star Nneka Ogwumike deserves a standing ovation for all her hard work and community service. 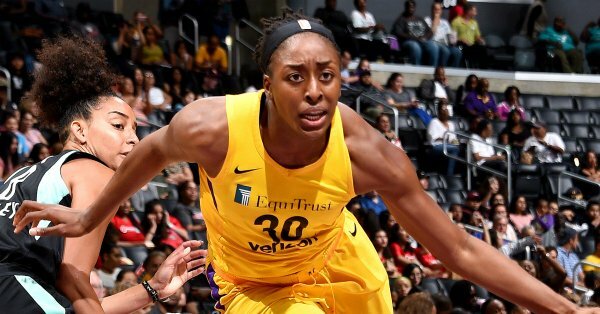 Los Angeles Sparks forward Nneka Ogwumike has earned the season long WNBA Community Assist Award presented by State Farm in recognition of her dedication to community outreach. 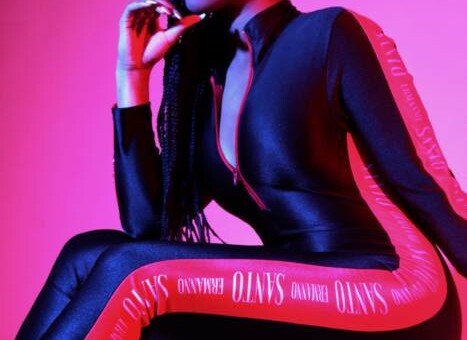 Ogwumike consistently made an impact in the community throughout the 2018 WNBA season, leading or participating in events that focused on female empowerment, health and wellness, diversity and inclusion, homelessness and STEM education. May 26: Served as an emcee for the Women in Sports Night at a Los Angeles Dodgers game, where she joined 8,000 participants in a pregame event recognizing pioneers of the WNBA and All-American Girls Professional Baseball League. June 2: Co-hosted “Ball’n on the Beach,” a three-on-three basketball tournament and basketball clinic for 300 students in middle school and high school across Southern California. The students learned new skills and talked about the role of sports as a tool for youth empowerment. June 7: Worked with 300 adults at the “Just Be You Pride Party” to help elevate the understanding and knowledge of inclusivity and positive association among people of all ages and sexual orientations. July 18: Participated in a panel on athlete activism at the Laureus Summit. July 28: Led fundraising efforts for a redesign project benefiting 16 young people who found themselves homeless after aging out of the foster care system. Aug. 3: Brought together 36 elementary school students for “Tech With Nek,” a full day devoted to learning coding basics. Aug. 29: Hosted 25 middle- and high-school-age girls living in at-risk areas to share tips on making healthy choices at the grocery store and preparing nutritious meals. The WNBA Cares Community Assist Award presented by State Farm is awarded monthly during the season to the player who best reflects the WNBA’s passion to make a difference in the community. This season marks the second in which a player or team is honored for seasonlong efforts. In recognition of Ogwumike’s commitment to her community, the WNBA and State Farm will make a $20,000 donation to LA’s BEST After School Enrichment. Follow @eldorado2452 on Twitter and Instagram for all your Los Angeles Sparks, WNBA and sports news.